This cottage in Naples, north of Second Street is listed at $1,031,000. Courtesy photo. Long Beach still has a reputation for being one of the least expensive waterfront communities, with (relative) bargains abounding. Even so, the local landscape is littered with million-dollar homes. Not as multi-million as some of our coastal neighbors, but million-dollar nevertheless. 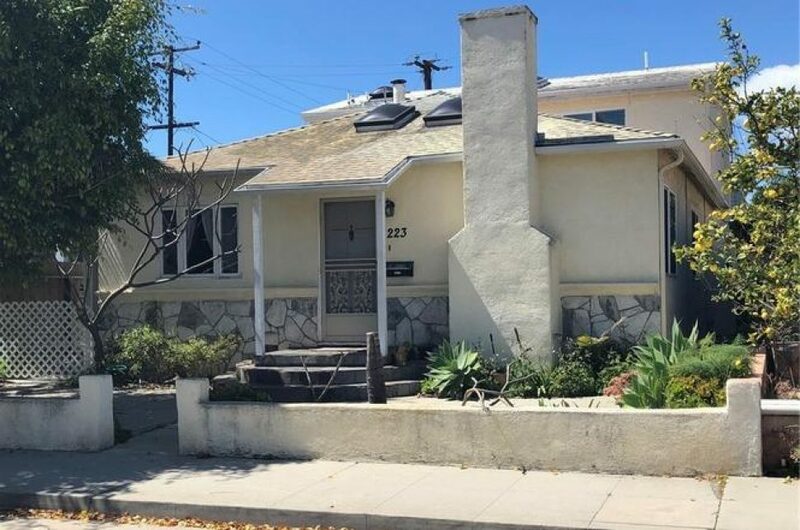 So, what kind of house does a million dollars buy in Long Beach? Nice. It buys a nice home. Opulence costs extra. A mere million doesn’t buy you a waterfront lot, but it’ll maybe get you a view of the distant Pacific, especially if you go the condo route. I grabbed a few million-dollar (give or take a handful of change) homes currently on the market to find out just what you’re going to get for the low, low seven figures. University Park Estates, long known to locals as “The Hole,” a quiet enclave of very nice tract homes south of Seventh Street by Cal State Long Beach. It is packed with homes that have just recently bobbed above the $1-million mark. And you can slide just under that price with this three-bedroom, two-bath home at 421 Silvera Avenue that’s listed at $999,000. The gated front courtyard of the house on Silvera Avenue. Courtesy photo. The 1,566 square-foot home is a midcentury-modern-inspired house that’s a bit more solid than its popular Cliff May Ranchos cousins to the north. Ultra-generous use of windows and sliders bring in lots of light to this cheery residence. 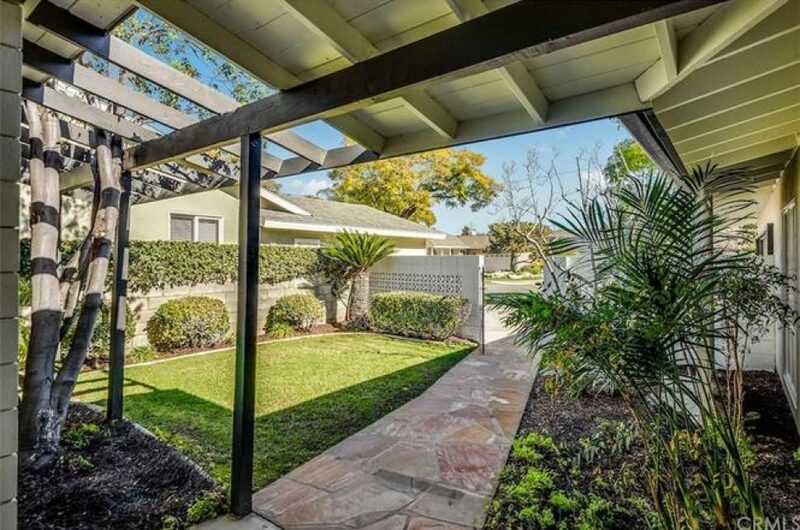 It’s got a nice, ample, dog-friendly backyard, a brace of upgraded baths and a gated front courtyard. It’s yours with 20 percent down, which leaves you with a monthly PITI (Principal, Interest, Taxes, Insurance) of $5,088 a month, which, maybe someday, will seem cheap, but not yet. Upselling you a bit (get used to it), our next house is on 223 Novara Drive in what my kids and I call “ghetto Naples,” those residences on the north side of Second Street in Naples. You get to call yourself a Neapolitan for just $1,031,000. The 1944 home is basically two homes in one, with one bed and one bath on the main level, and a one-bedroom, one-bath and living room on the upper level. Perfect for a couple saddled with a relative who won’t leave. Turning to condominiums, $1 million will generally get you a million-dollar view, though, thanks to Homeowners Association dues, condos can cost a lot more than the price tag. I found three for you just under $1 million, in order to save you a few thousand you can use for a few months’ worth of HOA payments. For $925,000, you can move into the swinging 1965-built International Tower, the closest thing Long Beach has to the Capitol Records Building, at 700 E. Ocean Blvd. Great views from your balcony in this $925,000 condo in the International Tower. Courtesy photo. It’s a 1,080 square-foot penthouse on the 25th floor of the circular building (which makes the units pie-shaped. Who doesn’t like pie?). So, you get spectacular views of the sprawling Pacific and your neighbor the Villa Riviera, along with a living room big enough to host a large aerobics class and such shared amenities as a swimming pool and gym. The unit features two large master suites and a ringside seat of the Grand Prix for the enjoyment of your friends, who you’ll find in abundance each April. Your PITI is going to run you $4,933 a month, which includes your $222 HOA fee. 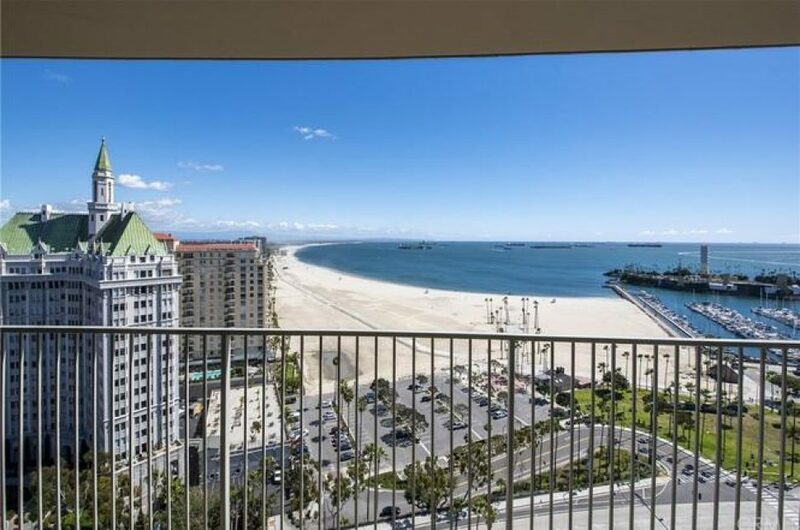 Moving closer to the ground, there’s a 15th floor unit for sale at $990,000 at The Pacific, 850 E. Ocean Blvd. The 15th-floor penthouse unit, built in 1992, is fairly modern, and comes with two baths and two bedrooms spread over 1,587 square feet. It features an upgraded kitchen, an oversized living room and access to two guest rooms—a feature available exclusively to 15th and 16th-floor residents. 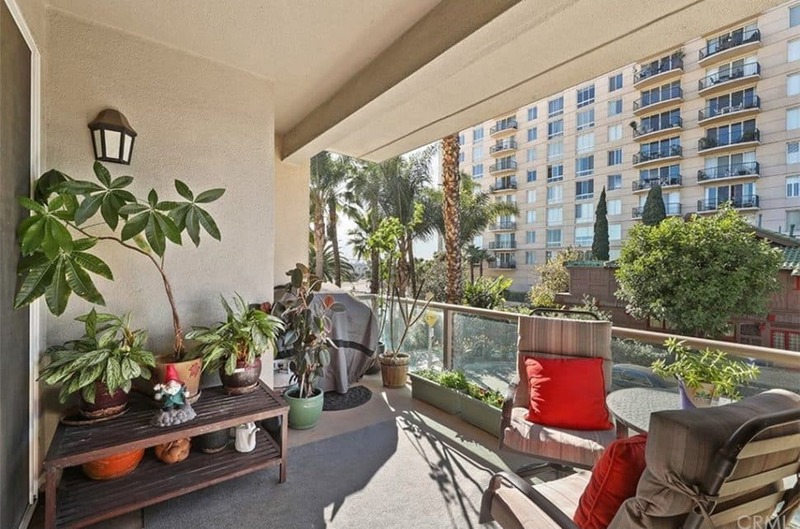 The living room in this $990,000 condo in The Pacific is perfect for entertaining. Courtesy photo. There are plenty of other amenities, including a pool, exercise room, 24-hour concierge service and a library. 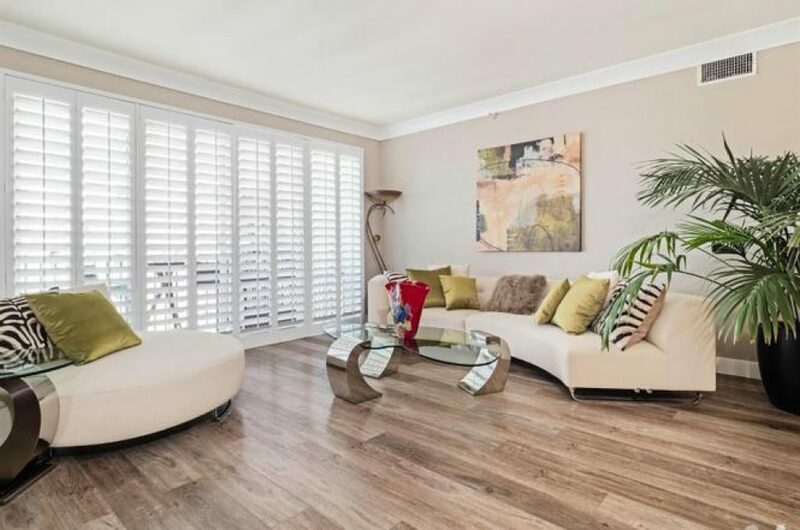 All included FREE with your $937 HOA fee, turbo-charging your PITI to $5,979 per month and putting you almost $1,000 a month over what it would cost if you’d sprung for the University Park Estates house. Finally, we almost hit the ground with this fourth-floor condo at 1000 E. Ocean, offered at $995,000. I’m gonna be honest, it’s not a great view from your private balcony. If you’re spry enough, you can probably contort yourself into a glimpse of the Pacific. Your private balcony on the fourth floor of the 1000 E. Ocean Blvd. building. Courtesy photo. It does have a good vantage of the historic Tichenor House, though I’m not sure that’s a selling point. What is a selling point, according to the listing, is the fact that it feels more like a house than a condo, which is also true of a house. The unit does have a certain interior elegance, thanks to heavy use of tile floors in the hallway and kitchen, and comfortable-looking living and dining spaces. And of course there are the amenities, funded by your $650 monthly HOA fee: a community pool and deck with ocean views, a gym and a rec room. Your PITI? Just $5,718 for the month. I’m sorry if none of this particularly knocks your socks off. For that, you need to pay a lot more. A million bucks just doesn’t buy what it used to.